Light refreshing shower gel that revitalises whilst washing away the impacts of daily life ! 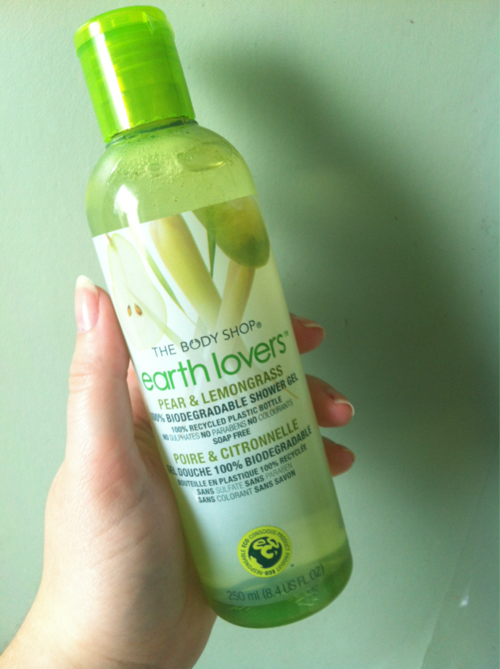 I just had to blog about this product, I signed up to get a body shop card and got this free. when i smelt it at first I was soooo happy with it from then on, Its smells so goood I just have to use it more than once! I nearly used a full bottle in one shower! It smells and feel amazing I would defiantly buy more next time I go. All I can say is im addicted to buying things from The Body Shop, every time I go shopping I come back with something from here. I just can't help myself everything smells amazing. I would really buy this you will be so happy and amazed how good it is! it is only £5 bargain for such a lovely product! There are a few more different flavors and I just want to buy them all! I love any eco-friendly product, so one that smells as gorgeous and fresh as this one is a brilliant buy and worth every penny! also one last point to make it a decent size bottle and it will last you quite a while which is always good. xoxo any one else tried this product? let me know.